I don’t think they sell coffee here Sweet Pea. What a lovely couple. They just want to rest their feet from shopping and have a good cup of java. But nooooo…. Because these days even ordering a simple coffee can be a pain! 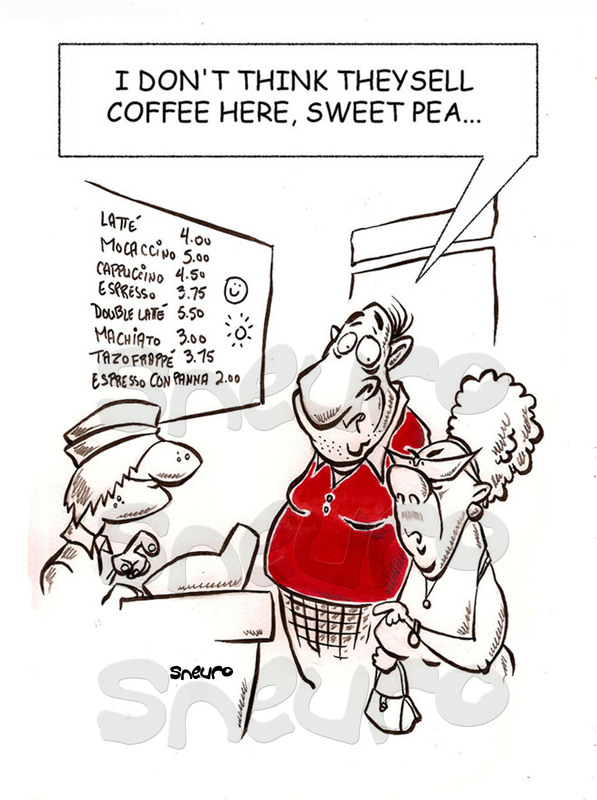 With all those expensive specialty coffees on the menu, no wonder Sweet Pea and her husband are perplexed. Plus, if they order something simple they will officially be out to lunch, trend wise. Don’t you hate spending 10 bucks on a oversized fancy cup of Joe that will be cold in 30 minutes!